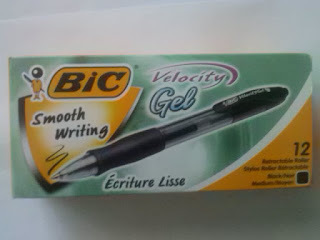 I received a free box of BIC Velocity Gel Pens in exchange for my honest review. I personally am not a gel pen fan, I don't really like the idea that it's like writing with a fine tip marker, therefore there's a chance of smudges. My fiance loves gel pens and was happy to test it. Not only is the writing smooth, unlike other brands where the roller skips or sticks, the ink lasts to the very end! One also neat fact I'd like to point out is that the ink is water based and the barrel is PVC free. Two things that make this an eco-friendly product, something that is very important in our family. Grip Permanent Marker is a durable pen-style permanent marker with a rubber grip for comfort and control. Makes permanent marks on most hard-to-mark surfaces such as glass, metal, photos, foils, coated papers, CDs, DVDs and most plastics. 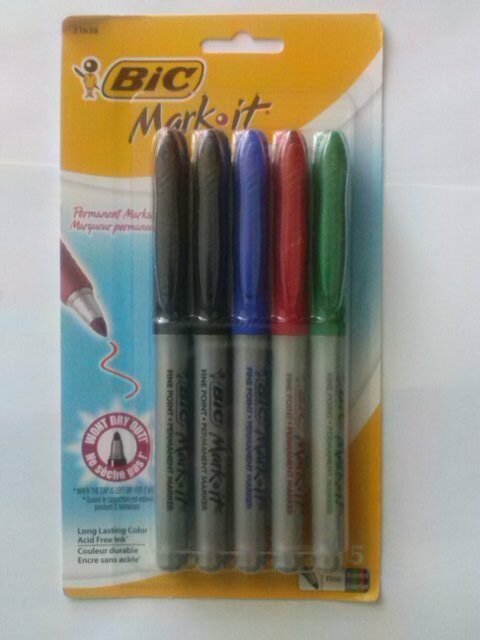 I received a free package of BIC Grip Permanent Markers in exchange for my honest review. I've always bought Sharpies because I was always told they were the best. Now I see, I may have been mistaken. These markers work just as well, we tried them on ziploc bags we have in the freezer and they worked perfectly. I love permanent markers that can write on multiple surfaces. I'm a crafter so this is a major necessity. 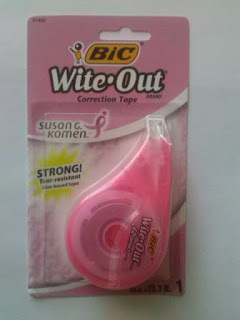 Added to that the ink is long lasting, bright and the marker itself is very durable. Another great plus is the comfort grip, this is what actually won me over. Goodbye Sharpie, Hello BIC! 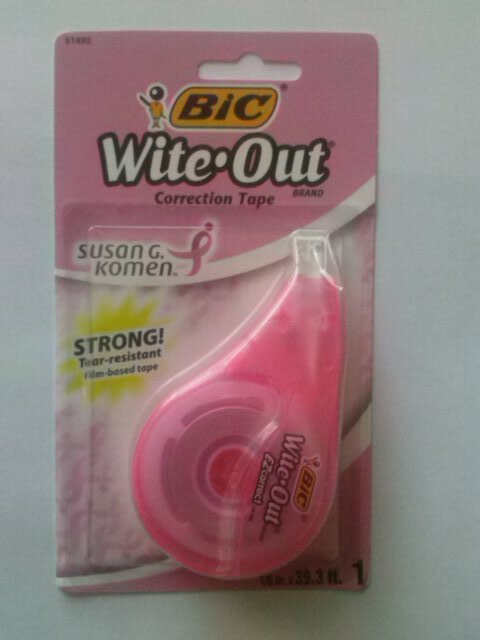 I received a free package of BIC Wite Out Correction Tape in exchange for my honest review. I've always hated having writing errors because I'd have to use the smelly liquid paper correction fluid, and wait forever for the stuff to dry. If there's one think I can't stand, it's the smell of that stuff. 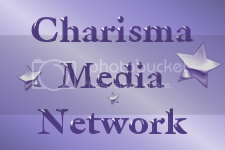 When I received this, I was happy to try it out. I journal a lot and Ihate scribbling out my mistakes, it just looks sloppy. With this, unless the paper isn't white, you can't really see it. There is absolutely no drying time, you can write over it as soon as it's applied, there's no drip, no mess, and no chance of spills! I received a free package of BIC Atlantis Retractable Ballpoint Pens in exchange for my honest review. I love ballpoint pens, but I'm very picky when it comes to styles and such, I'm also big on value for money. My muscle strength is limited, so I'm not a big fan of stick pens. I'm usually unable to close the pen tightly enough to prevent it from opening up on its own and losing my cap. I also like pens that write smooth and completely run out of ink before they stop working. I'd used Pilot stick pens for years just dealing with no pen caps. Then I discovered BIC Velocity retractable pens, they're great if you don't mind all of the colors. Needless to say, I love the BIC Atlantis pens, they are long lasting (the barrel will run out of ink before the pen itself is destroyed), refillable, lightweight, and also PVC free. 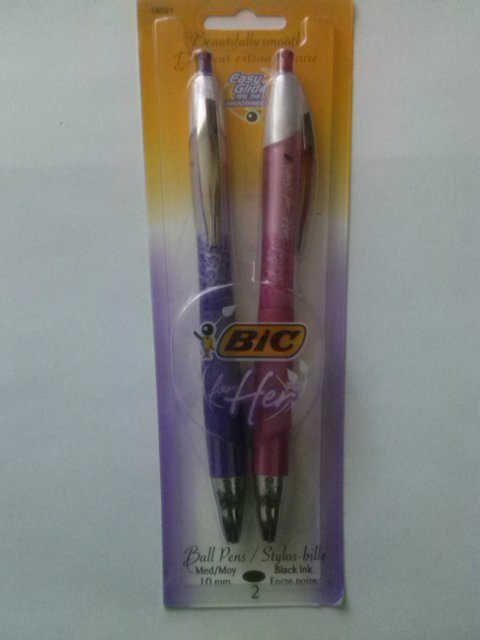 A ball pen essentially for women! 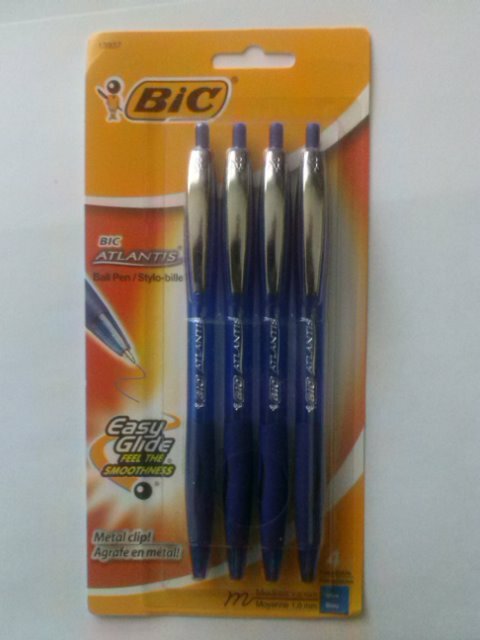 I received a free package of BIC for Her in exchange for my honest review. When I saw this package of pens I immediately fell in love. It's dainty and so pretty, but don't let that fool you. This isn't a junk pen, it writes smoothly and has a contoured comfort grip for long writing. Once again a great retractable pen, long lasting and smooth glide tip. This would make an awesome gift accompanied a matching journal for the writer in your life.